Perhaps the most interesting experiment is the one made with polarizing filters. 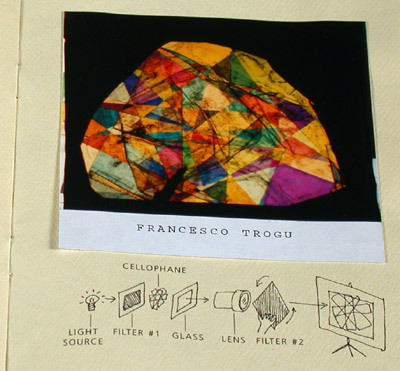 If two such filters are rotated on top of the other, they cut the amount of light going through, but if we use small pieces of scotch tape or other transparent material between them, then a full spectrum of colors becomes visible. The rotation of one of the filters in front of the projector (the other is in the back of the slide mount) generates a constant color variation. Direct projections using materials. In this section of the workshop, children place small pieces of materials between the glass in a slide: seeds, threads, onion skin, dragonfly wings. When projected on the wall, the beauty of this common things is revealed. Each projection is commented by the children. Each slide is almost like an abstract painting. Direct projections using colors. Small bits of color are mixed with bits of glue and put between the glass. Again, the children comment their work while it's being projected. I conducted this workshop with Pre-K children who had a lot of fun using slide mount frames, a slide projector, and a few basic materials. 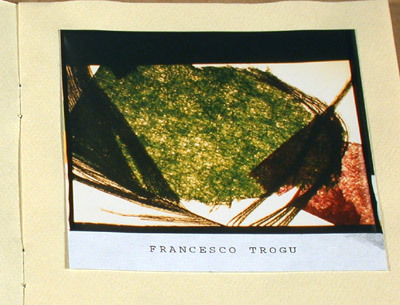 The techniques used were developed in part by the late Italian designer Bruno Munari. Munari's method is simple, don't give children long explanations, telling them what to do. Instead, show them how to do. They will observe and do themselves. 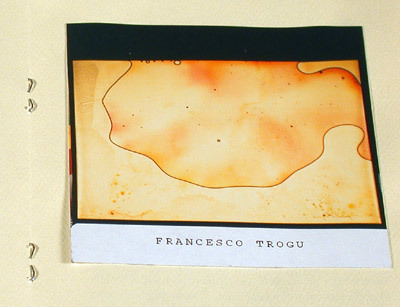 These techniques have also been used by teachers following the Reggio Method in the Pre-K schools in Reggio Emilia, Italy.